If you want to get in on the neck-stabbing and target-stalking of the Assassin's Creed Revelations multiplayer beta, you'd better have a PS3. PS3 owners who are also PlayStation Plus or Ubisoft Uplay members will be the first to test out the Assassin's Creed Revelations multiplayer beta on September 3. Other PS3 owners will have to wait until September 12 to get in on the cat-and-mouse action. Though Assassin's Creed Revelations will release simultaneously on the Xbox 360 and PC platforms as well, no betas for these versions have been announced. 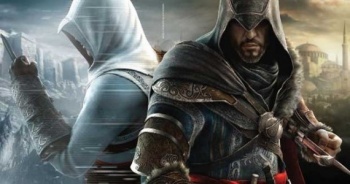 Developer Ubisoft implemented a refreshing multiplayer mode into the series' latest installment, Assassin's Creed Brotherhood. Critics lauded the inclusion for its precise gameplay and rewarding kills, but this time Ubisoft is looking to up the ante by adding more important and recognizable playable characters - some straight from the game's campaign. Last time, the characters largely came from minor side quests. The beta will include access to nine characters, including The Sentinel, The Vanguard, The Guardian, The Vizier, The Thespian, The Deacon, The Bombadier, The Trickster, and The Champion. Players will also have access to three maps (Knight's Hospital, Constantinople, and Antioch) as well as four game modes (Wanted, Manhunt, Deathmatch, and Artifact Assault). Ubisoft has remained rather hush about juicy, multiplayer details, but we do know Artifact Assault is essentially a fancier-sounding Capture the Flag mode. Manhunt, which made an appearance in Brotherhood, splits the players into two teams. One team hunts; the other team hides. I'm entirely unsure about this "Deathmatch." Assassin's Creed Revelations is set for release on November 15.